Have you finally had enough? Was this last car break down the last one? 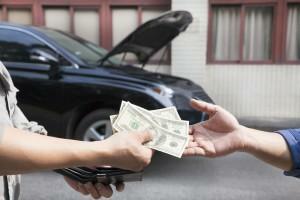 Do your vehicle’s repair costs outweigh its value? Then call up Cash for Cars Northwest to get cash for cars in Beaverton. We’re the full-service solution you’ve been searching for. We tow your car for free. We put same-day cash in your hand. We even file all the DMV paperwork for you! No muss, no fuss. It doesn’t get any easier that that! 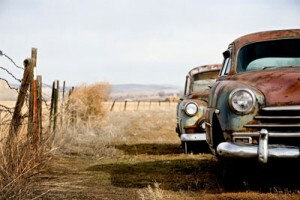 What can I do with a junk car? When you are ready to sell your car, you have a few options. You can take it to a dealer for a trade-in, but they won’t give you the best money you can get for the car. Instead, they may even add in fees for taking a junk car away instead of giving cash for your car, knowing they cannot sell it on their lot. There is also the option to list the car and sell it yourself. This is not only time-consuming, but you have to be constantly available for people to see it. Even then, the person may opt not to buy it and you have to start all over again. Then there’s the paperwork! What a headache. Junk car removal is our specialty. No matter the condition, we will come and get your vehicle. Our goal is to make it easy for you. We’ll give you a fair deal in cash for your vehicle, no matter how old or in what condition, and you don’t have to do anything but call us. We buy cars that work too! Have a lemon that “kind of” drives? We don’t just take junk cars. If you have a car in good, running condition you want to sell, we’ll give you a good deal on that vehicle as well. Whether we drive it away from your property or load it onto our tow truck, we don’t try to cheat you and eliminate the inconvenience so you can get it done today! There comes a time when you simply have to give up on that “fixer-upper” that no one got around to fixing up! Don’t wait for neighbors to complain or the HOA to issue a citation. Scrap the eyesore and use the money for something you really want! So call or contact us today to get more for your car with none of the hassles! Curious about what your car is worth? People Love Getting Cash for Junk Cars in Beaverton! There are plenty of cash for cars services around, so why choose us? To begin with, we are trustworthy. Having built a positive reputation for more than a decade, we have favorable reviews on customer rating sties. Don’t take our word for it. We encourage you to check it out. 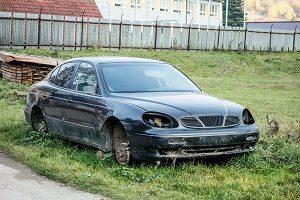 Some car removal services use unscrupulous practices. Some can be down right bullies. Once they arrive, they change the quote from what you were told on the phone. They then insist you sell them the car for the new, lower rate or they will charge you a fee for their time and services. If that happens, don’t pay! You owe them nothing. A reputable company who buys used cars will offer one quote on the phone that will not change when they arrive. They will not pressure you into anything. In fact, at Cash for Cars Northwest we encourage you to call around and get the best quote you can. We are pretty sure that will be with us, but we want you to be sure as well. We have a great reputation on online rating sites and with the BBB. Look around and, when you’re ready, give us a call. We make getting cash for cars in Beaverton easy and customer-friendly! We have an appraiser on staff to ensure you get the most for your money. Contact us today for your cash for cars quote (503) 482-5165. We love serving the Beaverton area. As part of the up and coming Silicon Forest, Beaverton is on the rise. With green spaces and businesses galore, what’s not to love?